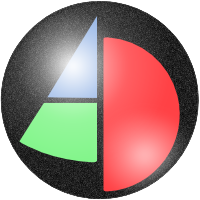 Aktiv Demokrati (swedish for “Active Democracy”) is a non-political party for realizing direct democracy in the swedish parliament, using a mix of delegation and direct voting through the internet. The following text is quite old. There may be differences in this text to the current state of the party. Please send in corrections to us. Our basic idea is that all citizens from different parts in the society should be able to influence important issues both directly and indirectly straight into parliament through an internet based democracy system. We want to do this because we believe that the “representative democracy” of today has ceased to function according to theory. Too many full-time politicians seem to be controlled by short term greedy interests or common incompetence at the same time as the citizens basic interests are being ignored. Politicians with moral courage and idealism can no longer be seen in leading positions in any political party. Furthermore, we do not think that the political parties of today fulfill the demands we have on democracy. In Sweden we have a rule that shuts any initiative below 4% of the voters out from influencing the politics (in other countries it is even worse. Some countries do not even have proportional representation), but these small initiatives do deserve attention and possible influence. We, the people, should, for this reason, take the direct responsibility for what is happening to us by creating a real democracy in Sweden. The political elite knows what means with democracy (Democracy means people rule), but they gladly misunderstand what democracy really is to guard their power and live well on the big piece they grabbed for themselves. They lack good arguments for an open debate in front of the citizens. They claim that their competence can’t be compared to the peoples competence. We all know that this is not the case. It is quite embarrassing all too often. We cannot let this “few-people rule” become norm for “democracy” because then dictatorship is not far away. The same tendencies that came before Hitlers abuse of power is now to be seen. Increased unemployment, increased criminality, increased racisim and increased poverty. Politicians are responsible, but it is not a new Hitler that is the salvation against a disfigured “representative democracy”. History made that very clear to Germany. Instead it is increased democracy that is the solution. You are also responsible to make it happen. It is very important that we develop real democracy while it is still possible. We still have the right to organize so let´s do it! We can together make sure that the views from the people comes into power. We can give the power back to all citizens, ourselves, if we can unite. The most important task that Aktiv Demokrati has is to give the citizens possibility to swiftly eliminate politicians when they go bad, but also the ability to support competent politicians. Four years of corrupt rule with no ability to influence is too long time. The citizens must be able to influence more than that. When the people begin to understand politics they will more effectively and more clearly be able to influence the reality they live in more effectively. It is going to give us a “democracy” that is worthy the name. The most refined about this party is that it has an unpolitical ideology that completely ignores thinking in red or blue and leaves every decision to the citizen, all according to direct democratic principals in harmony with true representative democracy, also called “representative direct democracy”. In practice this means that you, as a delegate or a citizen, can vote red and blue in different issues through our party. It also means that you can represent people better if you choose to become delegate for other citizens. Your opinion and your vote as a delegate will be presented through a voting account, like any internet bank account existing today. The “button pushers” in parliament will be forced to accept true democracy by written contracts with the party or risk being sued in a court of law. The aim of the party is to avoid corruption by looking for idealists who value democratic principals for this task . Even the the party function is controlled by the democracy system. Because of this there is no controlling board or any other group of members with more power than anyone else. All party members has the same possibility to influence all issues with the same power. Everyone with the right to vote for parties to swedish parliament has the right to be a member in the party. The party wants to introduce direct-democracy in Sweden by running for election. Once elected, the party’s mandate will be used in accordance with the voting results for each and every question with the party’s own direct democratic voting system. In this way direct democracy will be adapted in the pace wanted by the voters. The day the party has a superior majority in the Parliament of state nothing hinders proposals of abolishing the party system and convert Sweden to a downright direct democratic state. Despite the fact that highly colored statements in specific factual matters can find expression through the voting system of the party, the aim for the party is to remain neutral by its own. This means that the party neither now nor in the future will adapt any values in issues not specifically involved in how the world-political system will be more direct democratic. The core activity of the party consequently consists of design, running, maintenance and introduction of a continuous direct-democratic voting system. Everyone that can vote in the general elections can also vote in said voting system. You don’t even have to vote in elections for the party to be able to use the voting system. The party will also work on solutions for all practical problems that can occur during use of the voting system. Since the voting system only will be accessible through terminals on a network, it is important to make sure that everybody to a reasonable cost can get access to such terminals and knowledge on how to use them. Among other issues, the party wants all libraries to work as voting offices where those who not have access to the network from home can give their votes. The librarians will be trained so they can show the voters how the system works. 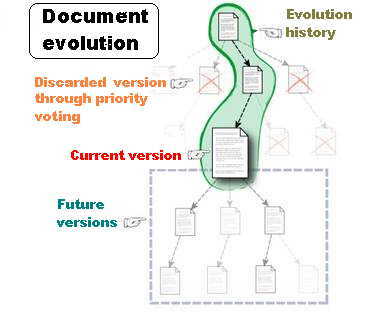 What is a continuous voting? The most characteristic property of the voting system of this party is that all voting are continuous. A continuous voting starts at a certain time but it is not predetermined when it will end. All voters can also propose a vote to be taken around an important issue at any time. A voting can be compared to a tug-of-war, which ends when one team wins. In this tug-of-war, all participants are equally powerful and all voters can jump into the tug-of-war on the side he or she wants to support. It is also allowed to switch side during an ongoing tug-of-war if one should change one’s mind. The more powerful one of the teams is in comparison with the opposing team, the quicker the game will be over. However, in order to make sure that it always takes a minimum of time to take a certain decision, there is a weight attached to the middle of the rope (illustrated above by a pallet of one ton of bricks). This weight gives the effect that a stock exchange-democracy will be avoided where decisions could be taken without due consideration. It is also possible to see via the voting system how thing evolves in the different tug-of-wars. The point with all this is that not everybody will have to actively take part in all proposals. One will only care to jump into tug-of-wars that one finds important and where the side to be supported seems to need a lend of hand. The fewer participants in a tug-of-war, the longer the time for a decision. In this way, unstable decision making with sudden unpleasant surprises will be avoided. A voter that has a limited amount of time or interest in participating in tug-of-wars can have by delegation someone else, which is solidly trusted to participate on this voter’s behalf. It can for instance be a friend, an organization of interests or a politician. This means that the decision-making can progress relatively quickly without necessarily demanding the active standpoint of the voters. Eventually, it is always the voters who rule in a direct-democracy, even how the process of decision-making shall be carried out. Proposals, which aim for changes of the voting system itself, are allowed. More on the voting process can be found at the end of this party program. For complete information, we refer to the regulations, where the party’s process of decision-making is regulated in detail. A tug-of-war can be a clumsy tool to decide in certain issues. Not all decisions can be made by simple yes or no answers. How can for example a compilation of all EU-candidates be made in a democratic order without having to vote yes or no on all possible lists? Here we need democratic compilations where all have the chance to contribute with their own list. The outcome will then automatically be put together to the valid list of EU-candidates. The rules on how the resulting list will be put together must of course be clearly stated before the compilation starts. In addition, compilations are not proposals by themselves, just something that a proposal can refer to. Compilations can also form the basis of new proposals. 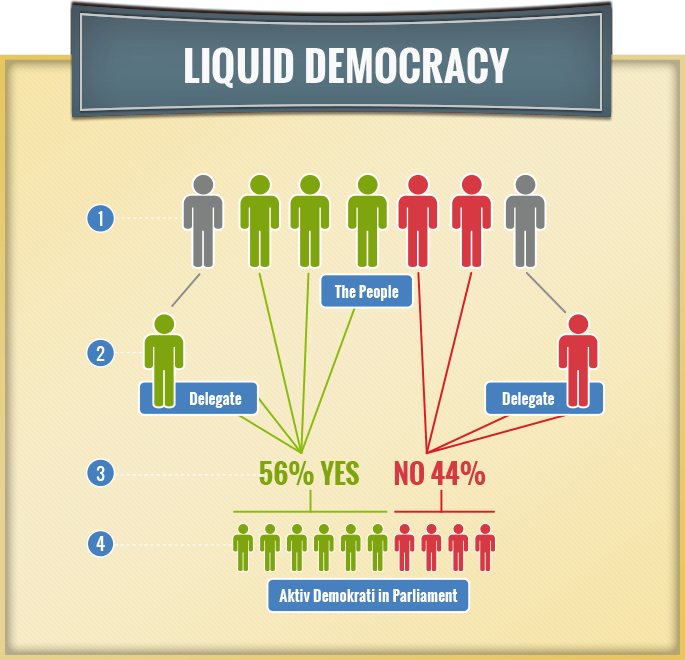 The advantage of direct-democracy is that a larger part of the population will take part in the process of decision-making. The politicians after all consist of a limited group who neither have the time, possibilities or interest in considering all facts. Much energy is wasted today on competing for the limited attention of those in power by media, formation of public opinion, lobbying and corruption. In addition, mass media deliver an angled view of the will of the people, the spectacular and entertaining pulls the attention from more important underlying facts. In a direct-democracy, the energy would be put into well-reasoned proposals and participation in debates instead, when people are in the mood and finds the time. The skills and experiences of the citizens would be better used in the process of decision-making. These who live in the middle of day-to-day life should also be trusted to put proposals regarding this day-today life. Wouldn’t it be fair that a teacher in compulsory school had the right to put proposals on national school issues or that hospital nurses were given the opportunity to put proposals on medical service? They are the ones to see the problems to be solved at a close distance. Today it is almost impossible to the individual grass root with a good idea to affect the political decision. Still the grass roots are the ones with the best contacts in reality. You can even debate if there is any democracy today. All there is, is a choice once every fourth year between very few political parties which all have quite similar manifestos. Your influence is depending upon the existence of a party with exactly your summary of opinions. The more opinions you have, the more difficult it will be to find a suitable party. At the same time, the parties have a natural aim for many voters, which results in very common and vague address. Furthermore, there are no guarantees that the politicians will stick to their small words. So, to what extent are the decisions taken, democratic? Direct-democracy also legitimates the state better. There is no doubt about a decision taken direct democratic if it’s in the good will of the people. This cannot be said about parliamentary taken decisions. Many citizens don’t feel that they are being represented by the politicians. This is an order that creates a harmful disloyalty against the state. A state where the citizens recklessly start to use the social regulations for their own good, or even worse -totally ignore them, will eventually break down and be replaced by chaos where almost everyone are losers. Often we come across bewildered fears of what would happen if the system of direct-democracy would be introduced. The competence of the citizens are questioned, fears for proposals driven by selfish reasons and abuse of the voting system are put forward. Of course, the possibility for these fears cannot be excluded. A stupid population would perhaps do better under an enlightened despot. However, you grow under your assignments as we say. Moreover, people probably act more idealistic in the role as voters as in other roles. The faith to the majority is by the way the foundation that all democratic rulings are built upon, including our current one. You may call it naive, but our country would probably be a much worse place to live in if this faith wasn’t well-founded. Nothing point in the direction that politicians are more unselfish or more competent than the average voter. They are often mediocre humans whose main ability exists in talking and to have the right image in TV. In addition, anyone who wants dictatorship may ask himself about the probability of an unselfish and enlightened dictator. There is no evidence in history that dictators usually have these gifts. In fact, all reasoning aiming to incapacitating the citizens is about elitist egoism. “One to one” – spreading of rumors. Today’s representative democracy builds on “one to many” – communication and therefore doesn’t use the full potential of the “many to many” –communication made possible by the new technology. It is time to use the technology better! However, not only technological break-throughs have made it about time to start direct-democracy but also the democratic maturity and higher average level of education among the citizens. There is also a more long-term purpose of direct-democracy than to make Sweden a better country. Increasing numbers of people realizes that democracy have to be globalized in order to deal with problem such as greenhouse-effect, breaking down of the ozone-layer, drug trade, terrorism, war, mass epidemic and starvation. We live in a global ecology and economy but lack global democracy. The problem is that parliamentary democracy scaled up to larger regions, embracing different languages, cultures and religions is not easily made. The distance to the voters will be too large. The reason is simple: parliamentarism lacks capacity to handle enough questions in a democratic way. On a regular basis, there is only room for a limited number of parties and media can only cover a small portion of the issues citizens are interested in. Moreover, the number of well-thought-out decisions a parliament has time to take is limited. An attempt to avoid this has been made by the introduction of parliamentary democracies on several levels. In Europe for instance, there are communities, national states, EU and FN. USA is a federation of states. But these giants lead to even less insight and influence to the individual citizen. The citizens cannot even vote on whom to run EU and FN. A continuous direct-democracy will scale better than a parliamentary one because decisions can be made even by relatively small minorities despite the fact that everyone have the right to attend in the decisive. A continues direct-democracy therefore have good chances to work even if it embraces all six billions of the population of Earth. The demand for a world democracy is growing acute. If the global problems not are solved in due time, large catastrophes will be the result. Below will follow a more detailed description on the continuous voting procedure. Mathematics skills from compulsory school will be enough to be able to understand it. All party members have the right to put a proposal in the voting system at any time. Every new proposal will be marked with a unique ID-number, which will be used for references to this proposal. The propose cannot be anonymous. A vote can be –1 (for a “no”), 0 (for “abstains from voting”) +1 (for yes”). At the start of the voting, everybody is considered to have voted 0 for the proposal except the proposer who automatically are considered to have vote +1. As long as the voting continues, it’s allowed to change one’s vote. On the contrary, the text in a put proposal is not allowed under any circumstances, to be changed afterwards, not even for correcting spelling errors. Voting cannot yet be carried out anonymous but future releases of the voting system will be able to guarantee the anonymity of the voters if it’s requested by the voter. Votes are counted on a regular basis once a week. When the voting system has been automated, the frequency of the counting will be increased to once a day. In future releases of the voting system the vote counting will be carried out by several independent vote counters to guarantee a correct calculation of the voting results. Each proposal has a certain accumulated support, which is a reel number. When the voting start, the accumulated support for the proposal is set to 0. The support is then updated at every voting count in the following way: first the mean value of all party members is calculated. After that, the mean value is divided by an inertia invariable currently being 1 (which is the equivalent of 7 when vote counting is carried out every day). Then the result is added to the accumulated support of the proposal. If the mean value and the support have different signs, the support is first put to zero before the addition. The same will happen if the mean value is zero. 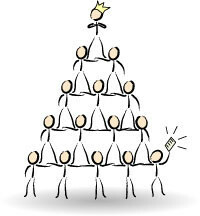 Whenever the accumulated support for the proposal becomes 1 or higher, it will be sanctioned. If it will become –1 or lower, it will be rejected. In both cases, the proposal is no longer an object for voting. The diagrams above shows how the mean value of votes divided by the inertia invariable (the so called momentary support) varies over time. The accumulated support at a certain time thereby equals the area between the curve and the x-axis between the current point of time and when the curve crossed the x-axis by the latest. As seen in the diagram, both the momentary and the accumulated support have switched between both negative and positive. Areas below the x-axis are indicated red and above x-axis they are green. If there develops a continuous green area with the area of 1or more, the proposal is sanctioned. In a similar way, it will be rejected if a red area with the area of 1 or more develops. The reason for only taking continuous areas into consideration depends on the “set to zero”-rule explained above. This is done to set aside the point in setting the accumulated support to zero for a proposal with a negative accumulated support where the mean value of votes have switched again to positive, by putting a new proposal with exactly the same content. All members can via the voting system see how close a proposal is to be sanctioned or rejected at any time. Among other things, it is possible to view all proposals sorted after their accumulated support. At the bottom of this list there is mostly noise that is only of interest to the most devoted voters whereas proposals at the top of the list have great chances to be reviewed by mass media. Next figure illustrates that it is impossible to tell how long time it will take to take a decision. It clearly depends upon how fast the accumulated support grows. If great unity prevails it can be over after a week, whereas proposals out of the interest of the voters can lead a languishing life for decades without neither being sanctioned of rejected. The process of decision-making consists of several more steps than the voting process itself. Among other things a proposal will not automatically be a decision just because it has been sanctioned. Complete information is to be found in the regulations, where all steps of the decision making process are described in detail.